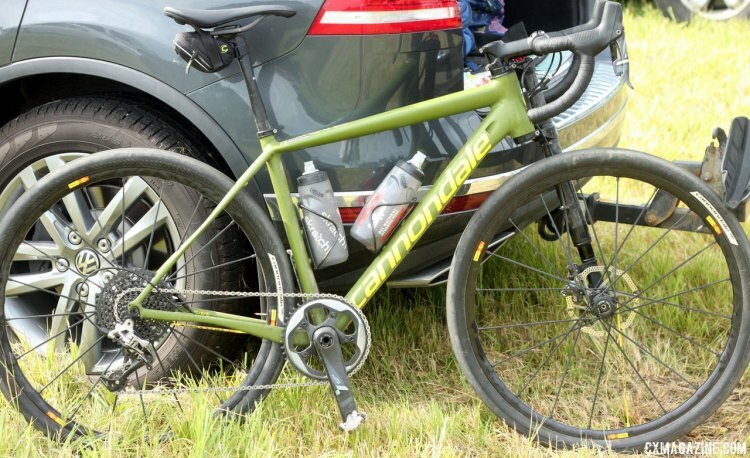 Ten months ago, the world was all abuzz with the latest from Cannondale, and what appeared to be a cyclocross bike with a Lefty suspension. Even shops were replicating the build, and we even got to test one from Cannondale’s Natick store in Massachusetts. In June, the details were unvieiled that the bike would actually be an aluminum frame with 650b wheels designed for all-road kinds of situations. 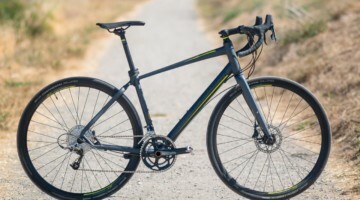 Cannondale has just released the pricing, specs and availability of their first three models, which should start to hit stores in October. 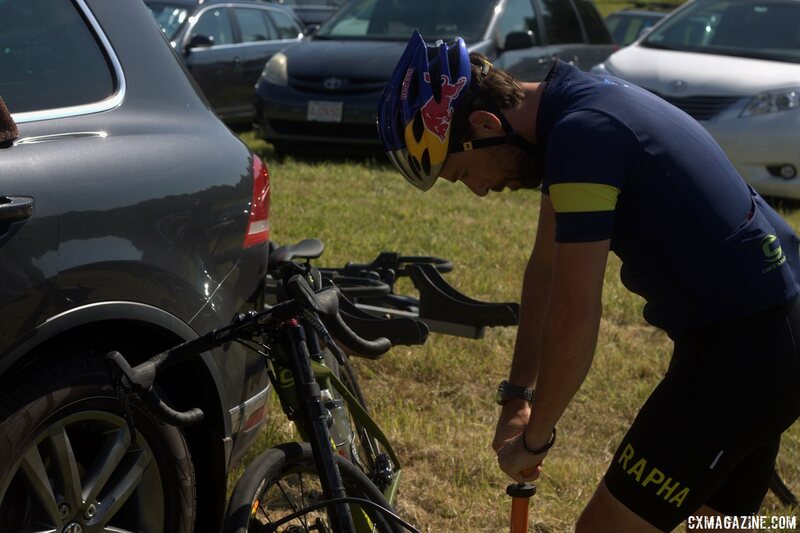 We caught up with Tim Johnson at the JAM Fund Grand Fundo, and noticed him working on his Slate which he was preparing for the ride. 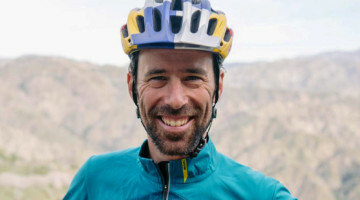 Naturally, Johnson was using a frame and build setup that will not be available as a full package, although his frame colors of matte army green and yellow will be used for Cannondale’s Slate 105, which will be priced at $2980 with a 105 package, an alloy cockpit and seatpost, and of course, a Lefty Oliver carbon fork with 30mm of travel. 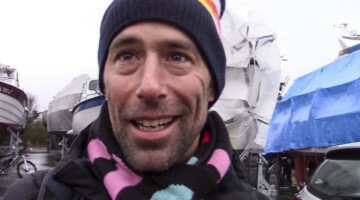 As for the components Johnson uses, they will be more akin to Cannondale’s top-tier Slate, the Force CX1, although there are a few notable differences. For starters, Johnson uses 650b wheels from Mavic. Cannondale, however, will be building their front wheel off an anodized purple hub, and will offer a color-matching Hollowgram Si cranks mated to Cannondale’s single SpideRing 44t chainring. Other than its purple accents, the Cannondale Slate Force CX1 is anodized black, and will include a carbon cockpit and seatpost, and will MSRP at $4260. The Ultegra model sits squarely between the other two on the shelf, priced at $3520, and will come fully equipped with Shimano Ultegra and Hollowgram Si cranks with a double chainring. 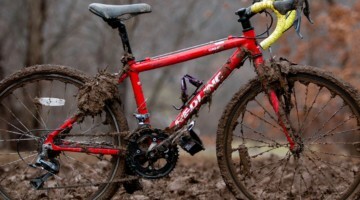 This is the grey model that Cannondale has been most promoting in its teaser media. All three models will come with Fabric Scoop Radius Race Saddles, which does not come at a large surprise to us as we were told by Fabric at Press Camp 2015 that the company was developing ties with Cannondale and the Cannondale p/b Cyclocrossworld.com team. The three models will also come with Slate Tubeless tires. the 650b setup allows for a much larger volume tire, up to 42mm wide, to fit in the small rear triangle, with chainstays that are smaller in length than most cyclocross models (only 405mm) . 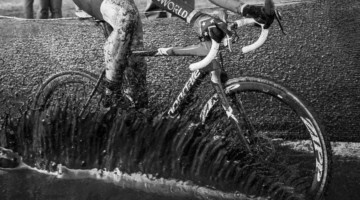 It will be interesting to see if Cannondale begins to brand the bike with tires that can handle the mud of cyclocross for the 2016-17 season. Cannondale’s claimed weight on the frames is 1250g, with the fork weight weighing in near the frame at 1180g. I’m getting one of these but don’t know if I should go for small or medium. I’m 5ft 8″ with 30″ inside leg.